The UK trailer and poster for the upcoming horror movie from the writer of The Orphanage. Best known for his writing work with director J.A. 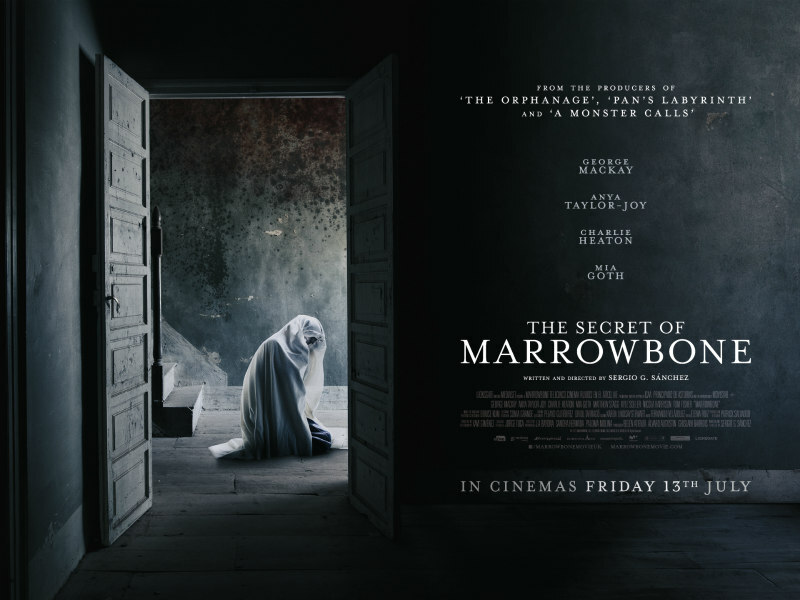 Bayona on The Orphanage and The Impossible, Sergio G. Sánchez makes his directorial debut with The Secret of Marrowbone. The film stars George Mackay (Captain Fantastic), Anya Taylor-Joy (Thoroughbreds), Mia Goth (A Cure for Wellness) and Charlie Heaton (Stranger Things) and tells the story of four young siblings who relocate to a home that appears to be haunted by a sinister presence.